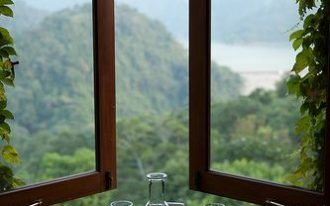 Hello, Folks! 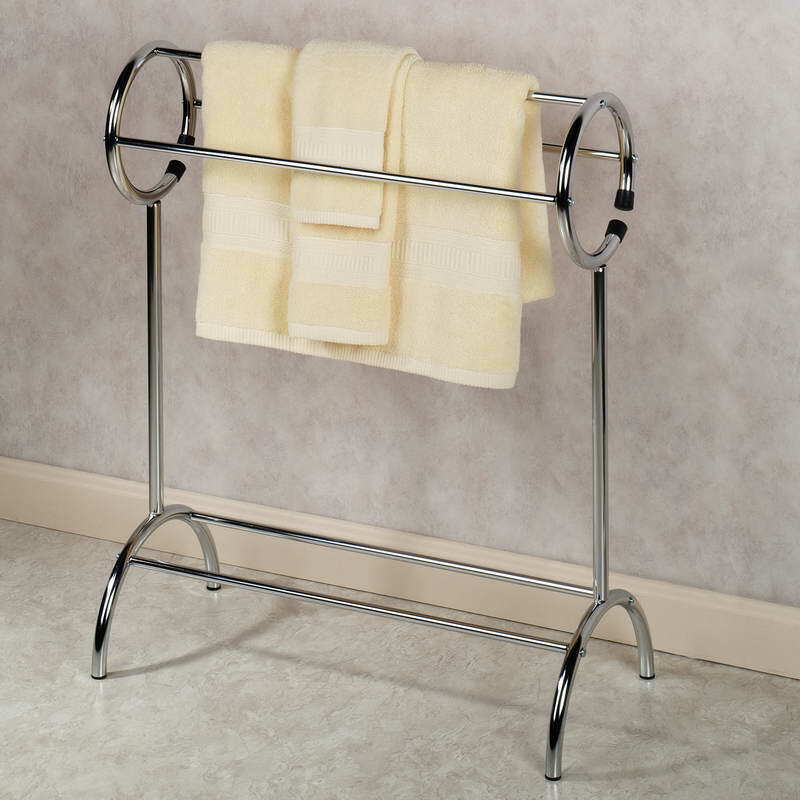 Today, we are going to talk about towel racks. 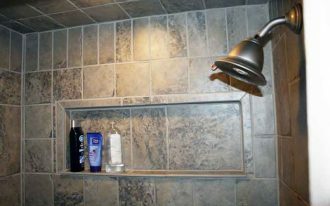 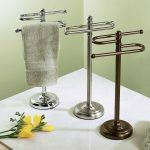 Even though it is just simple stuff but it is quite necessary to be decorated in the bathroom. 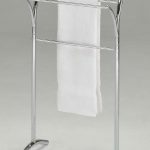 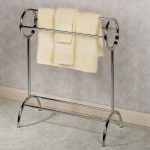 It will keep your towel in the bathroom well organized or tidy. 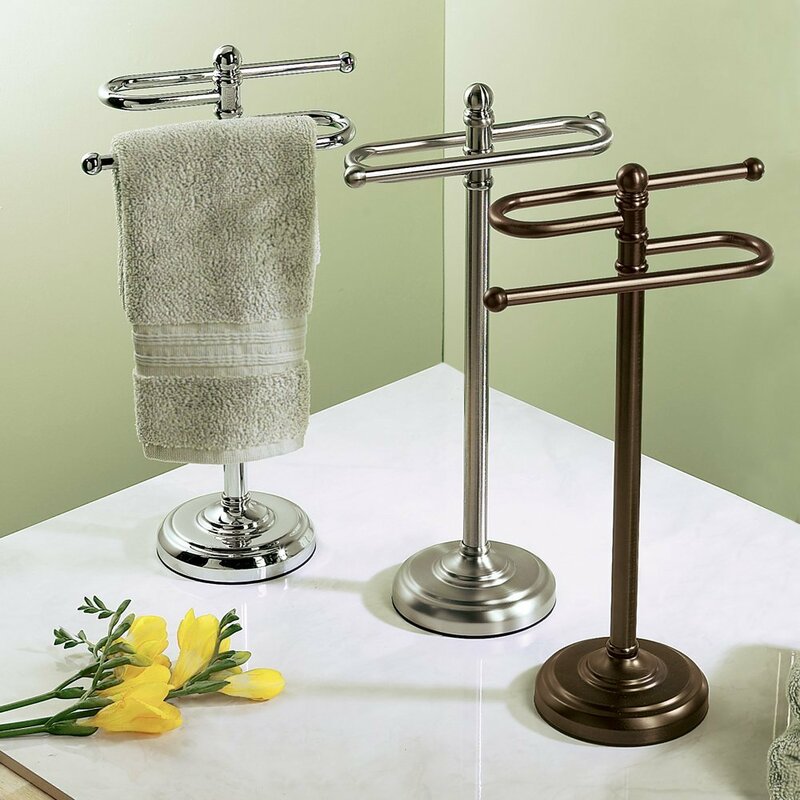 There have been several collections of free standing towel racks that you will be attracted to be decorated in your bathroom ideas. 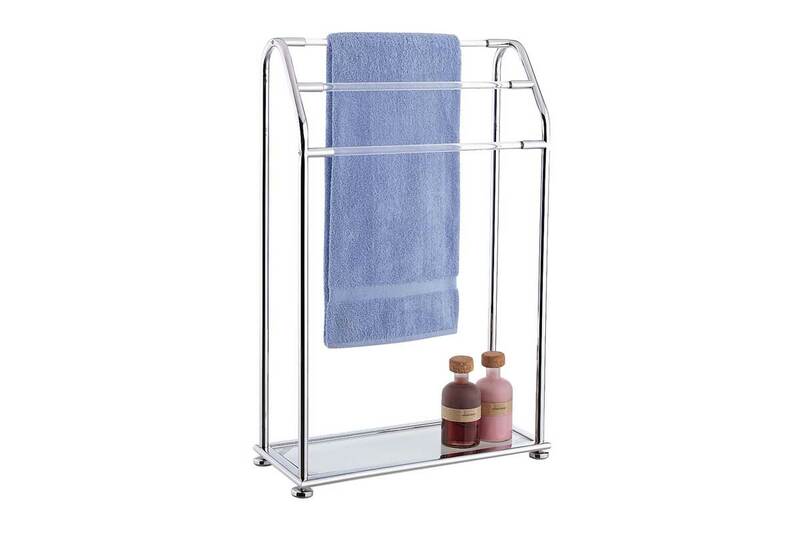 The materials used and price of the rack are also different between one to another. 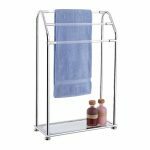 Thus, pick one of those racks that you think it is affordable for you to purchase and good to be decorated in your bathroom. 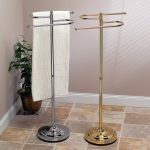 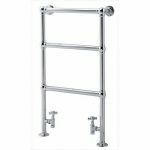 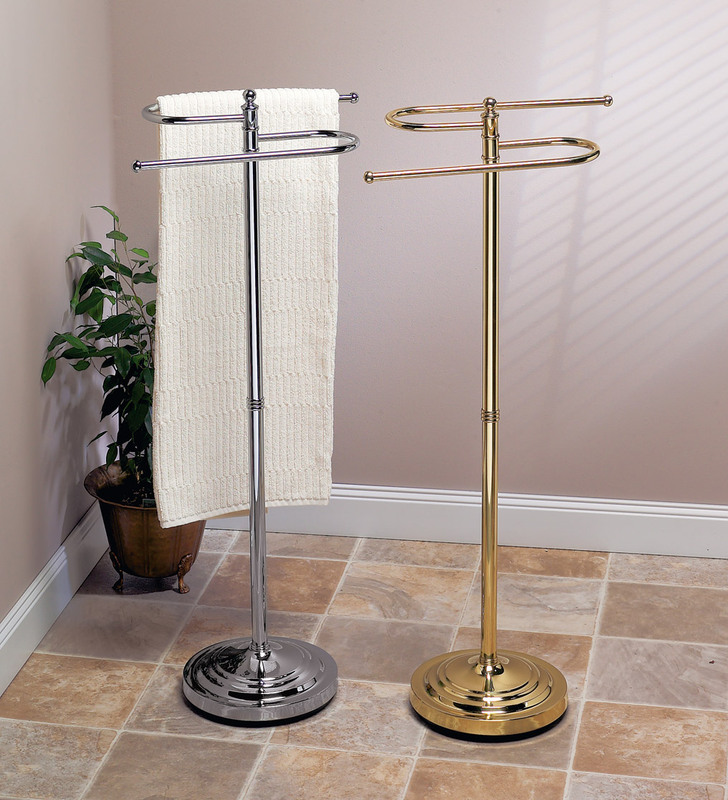 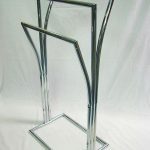 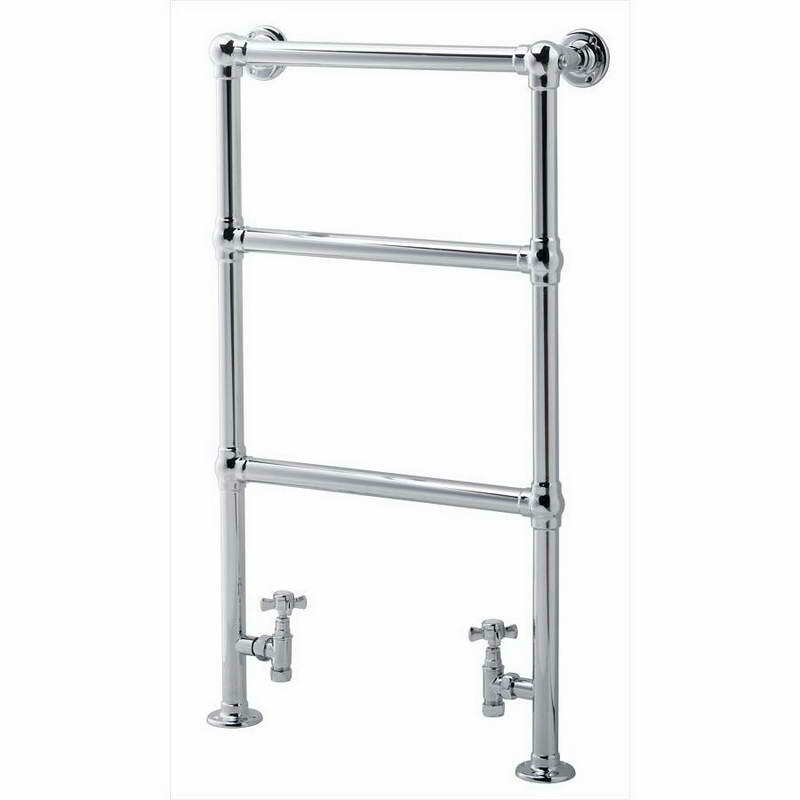 First, you can select a towel rack from GATCO which has 2 different series, in chrome and brass. 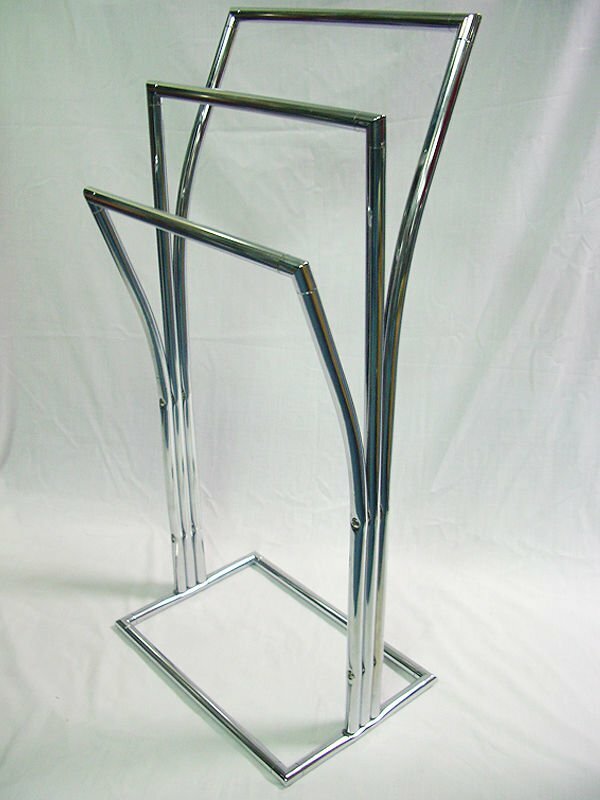 The height is 38” and the price is ranging from $61. 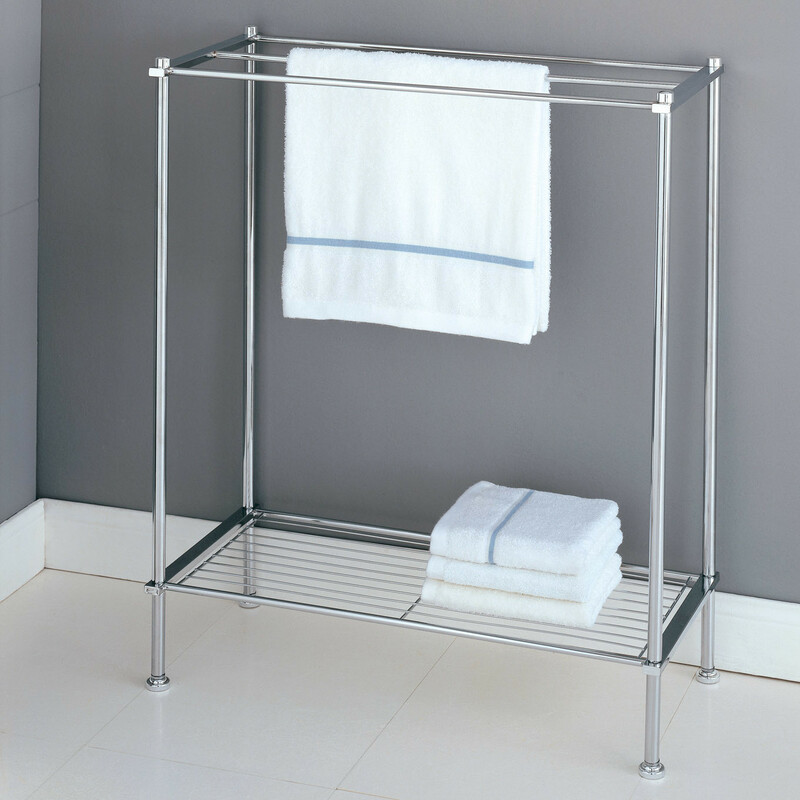 The design of this rack is simple, but it is able to create an elegant presence to the bathroom. 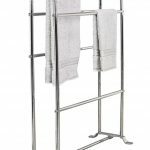 Another positive side of this rack is that it is space-saving so that it can be a good choice for those who have a narrow bathroom space. 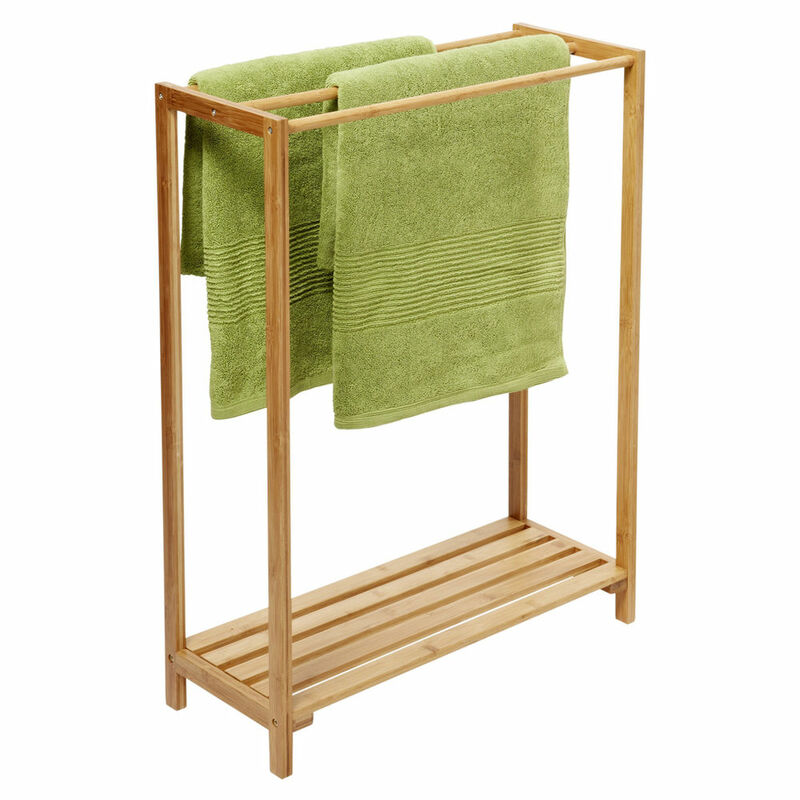 Instead of choosing metal racks, you can choose the rack made of wooden material. 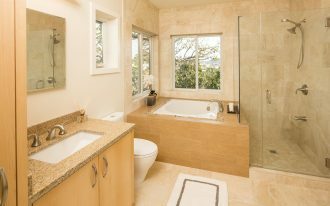 It creates warm and traditional outlook of the bathroom space. 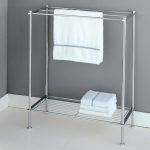 It is completed with a rack/shelf beneath where you can put your bathroom stuff on it. 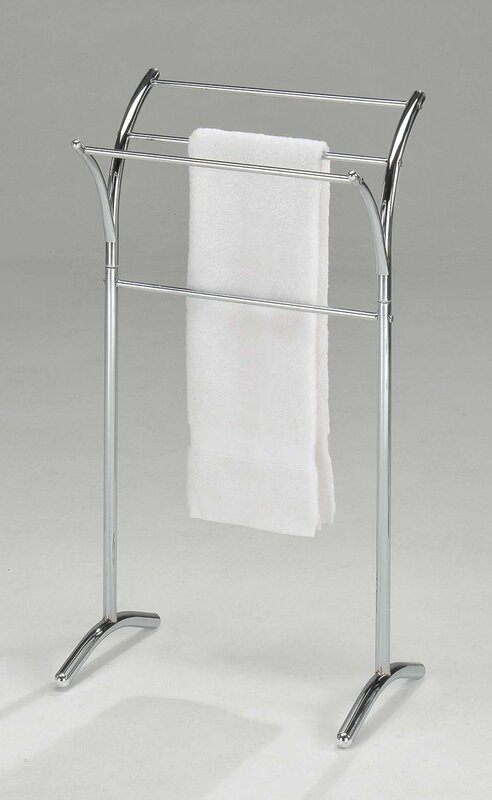 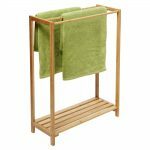 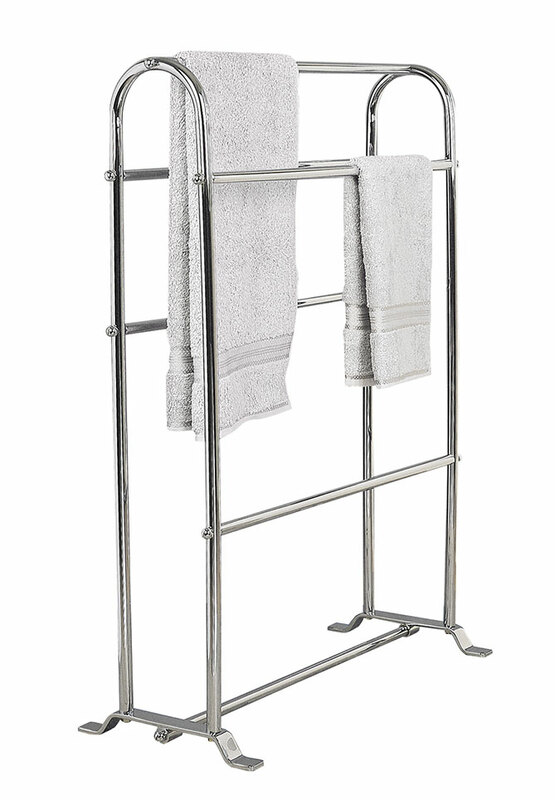 The benefit of using this wooden standing towel rack is that the price is cheaper than the metal rack. 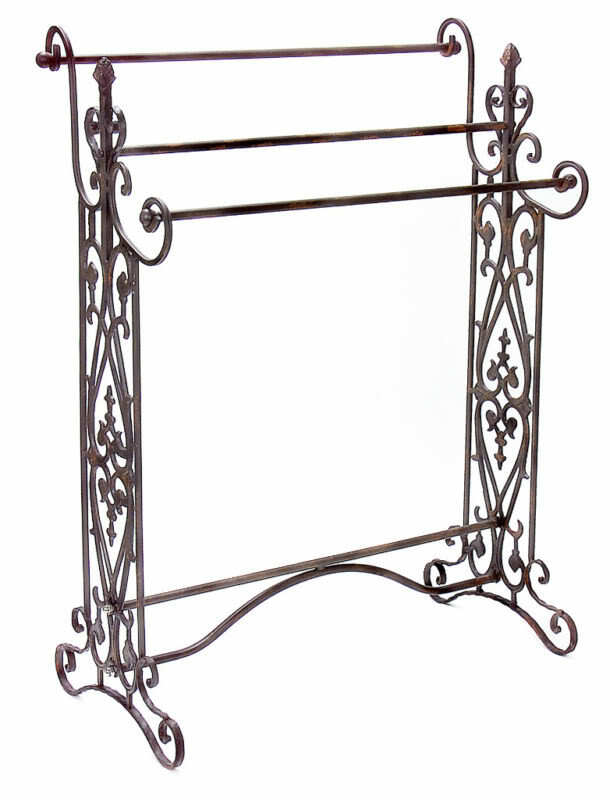 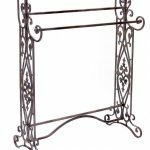 For those who want to present beautiful and classy space, choosing racks made of iron is a good idea. 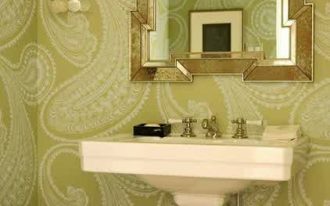 It has pretty ornaments on its legs, which look so adorable and charming. 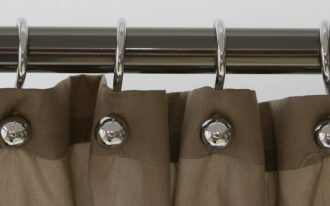 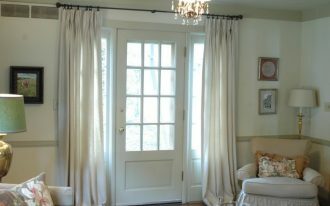 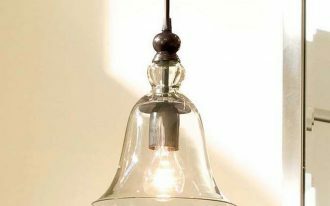 Again, it is very strong and durable so that you don’t need to worry about replacing it so often. 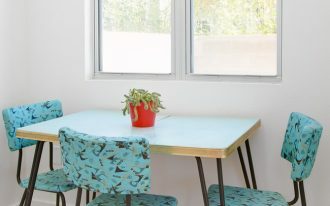 You just need to refinish it once it gets dull or uninteresting appearance.